A Canadian psychology professor and author who has been referred to as “kryptonite” to the Left’s identity politics is fighting back after what he said was an assault on his character launched by the City Council of Durham, North Carolina. 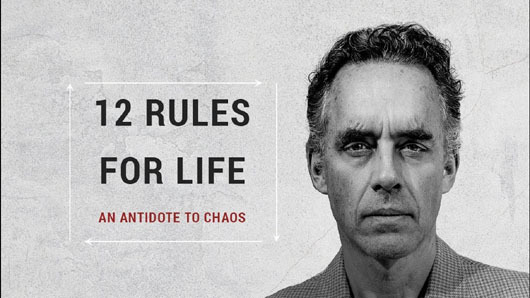 Jordan B. Peterson, University of Toronto psychology professor and author of the runaway global bestseller “12 Rules for Life” is scheduled to deliver a presentation at the Durham Performing Arts Center (DPAC) on Sept. 10. “We wish to emphasize that a person’s right to free speech does not include the right to a platform or an audience,” the statement said, according to a report by The Washington Times. “We believe that Durham is a place for all of us – black, white, Asian, Latina, indigenous, and mixed-race, trans and cis, gay and lesbian, queer, and straight, disabled and able-bodied, young and elderly, women, men, and non-binary, native and immigrant, secular and people of faith. Peterson also criticized the city council for saying he was “invited” by the performing arts center when, in fact, he rented out the space. “Without the allegation of ‘invitation’ there is no one to cast into disrepute,” he said. “And that leads us to the betrayal, which is the purposeful and motivated casting of aspersions on the character of the people who run the DPAC, who are in any case directly or indirectly under the supervision or jurisdiction of the mayor and councilors. So the perpetrators have been identified. “It’s so interesting in a very dark and terrible way to observe this happening. Why? Because it’s a great example of the tendency of radicals to devour their own,” Peterson said. Months after its publication, Peterson’s book was at No. 2 on Publishers’ Weekly nonfiction list in April and holding at No. 1 or 2 in several categories on Amazon. On YouTube, Peterson’s 225 lectures have attracted more than 460,000 subscribers and 30 million views.